Petrus Apianus (1495-1552), also known as Peter Apian, was Professor of Mathematics at the University of Ingolstadt in Germany and a pioneer in astronomical and mathematical instrumentation. 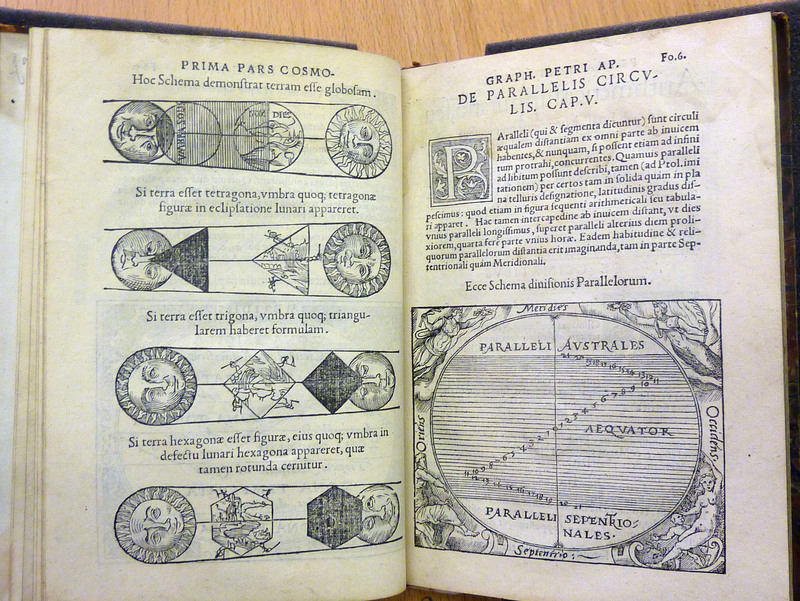 Apian is best known for his studies in the science of cosmography and we hold several editions of his works here in the Cardiff Rare Books Collection. Cosmography was a broad science which aimed to provide a mathematical basis for mapping the position of everything in the universe, and Apian’s work required not only his skill in mathematics but also expertise in geography, navigation, astronomy, and cartography. 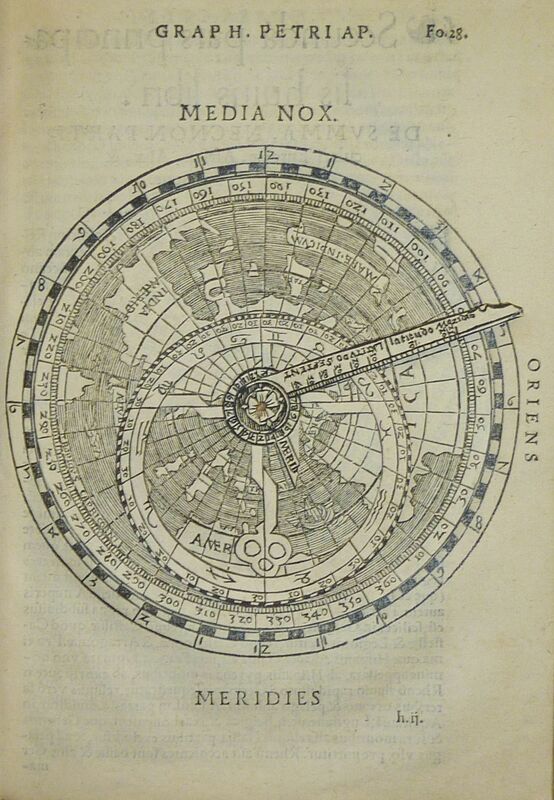 He published manuals for astronomical instruments, printed scientific works on his own press, and crafted volvelles, or “Apian wheels”, for the calculation of time and distance. In 1524 Apian produced his first major work, Cosmographia, which provided readers with a guide to cosmography and an introduction to the disciplines of astronomy, geography, cartography, navigation and instrument making. 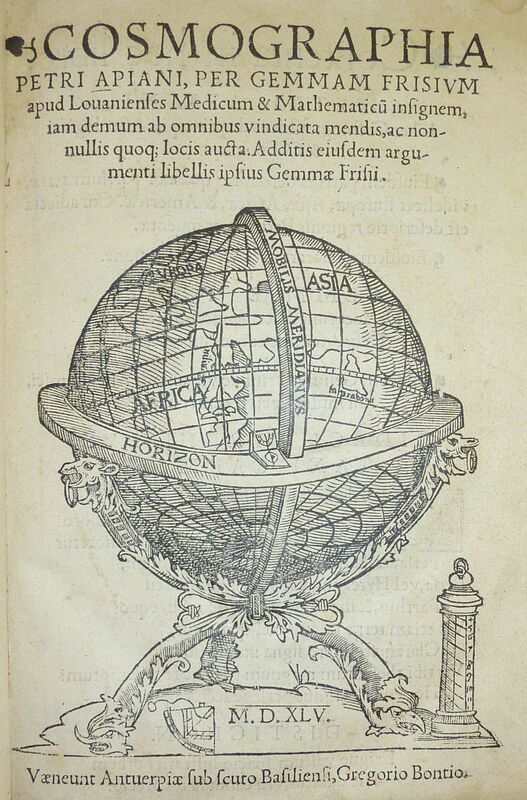 Gemma Frisius (1508–1555), a Dutch mathematician and student of Apian, produced several expanded editions of the Cosmographia, including the 1545 and 1584 editions we have in SCOLAR. The book remained popular throughout the 16th century, being reprinted more than 30 times and in 14 languages. 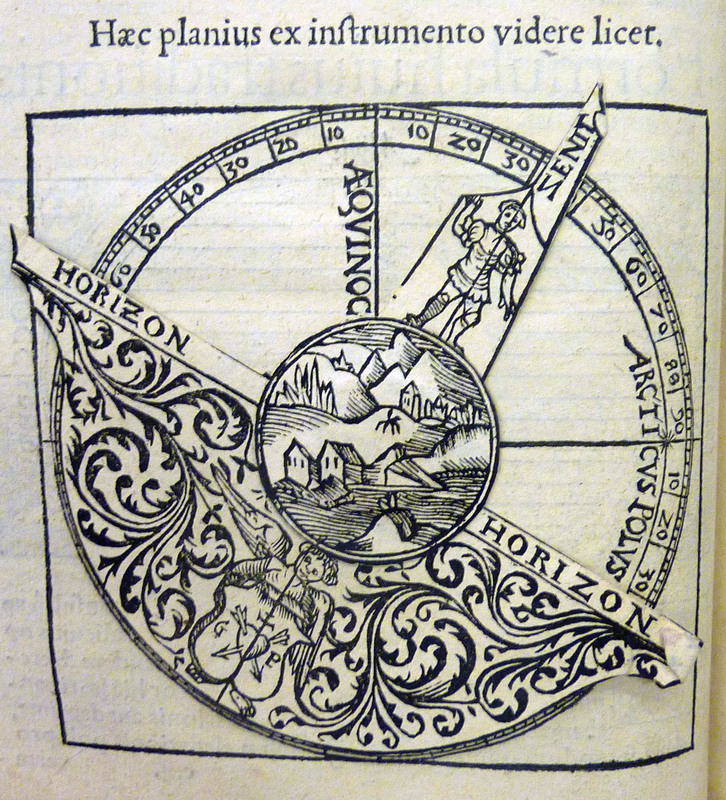 Cosmographia describes various scientific instruments, but there are also several working paper examples of Apian’s volvelles included in the text, with which readers could find the positions of the sun, moon and planets, or calculate latitude using the sun’s height above the horizon. Interestingly, the moving parts in Cardiff’s copies of Cosmographia have been printed on the back of used paper – perhaps an early example of recycling to keep costs down. Considering the practical nature of the volvelles, it is also remarkable that these delicate instruments have survived in such good condition. 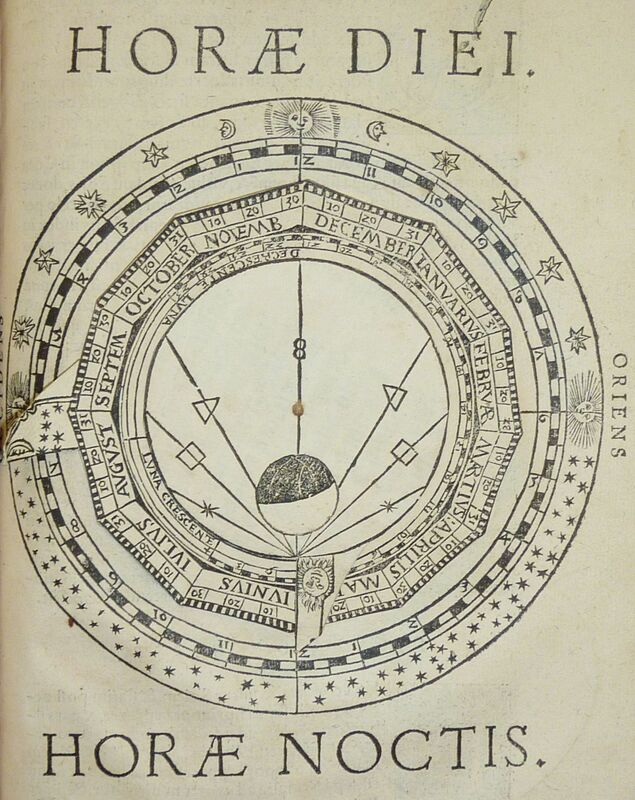 This entry was posted in Ken Gibb and tagged 16th century, Cardiff Rare Books Collection, cosmography, illustrations, Peter Apian, rare books, science, volvelles. Bookmark the permalink.